The Best Apple Youtube Channels from thousands of Apple Youtube Channels in our index using search and social metrics. Subscribe to these youtubers because they are actively working to educate, inspire, and empower their audience with frequent updates and high-quality videos. About Youtuber Apple revolutionized personal technology with the introduction of the Macintosh in 1984. Today, Apple leads the world in innovation with iPhone, iPad, the Mac and Apple Watch. About Youtuber David A. Cox is a professional technology teacher who specializes in teaching all Apple/Mac products. So if you want to learn how to better use your Mac, iPad, iPhone, PC, or other web technologies, you've found the right place. About Youtuber 9to5Mac is a daily Apple news channel. We cover everything about Apple Inc. and the personalities that surround the industry. We dig deep for information about the famously secretive Cupertino-based company. About Youtuber Apple, Mac, iPhone, and iPad coverage. It features News, rumors accessories and reviews. Follow to keep up with the latest updates. About Youtuber We're here to provide tips, tricks and helpful information when you need it most. About Youtuber Cult of Mac is a daily news website that follows everything Apple. Our goal is to provide timely news, insightful analysis, helpful how-tos and honest reviews. About Youtuber This YouTube channel is powered by iGeeksBlog.com where you find app reviews, how-to tutorials and lot more videos on all things Apple. About Youtuber MacSales.com continues to follow the highest standards of commitment to innovation, customer service and product quality in an environmentally responsible way. About Youtuber Apple Tech 752 is a channel which provides tutotrials, solution to most frequently asked questions and much more... Follow to keep up with the latest updates. About Youtuber This channel has more method for Remove iCloud, Unlock iCloud and much more. About Youtuber The latest Apple News. Nonprofit page, not affiliated with Apple Inc. Follow to keep up with the latest updates. About Youtuber Apple World Today is the newest destination for news, reviews, rumors, how-tos, and community for Apple Inc. fans. Founded by three long-time Apple bloggers, we are not associated with Apple in any way -- except for our love of the company's products. About Youtuber The Apple Boy is a channel all about apple watch, iphone and much more... Follow to keep up with the latest updates. CONGRATULATIONS to every youtuber that has made this Top Apple Youtube Channels list! 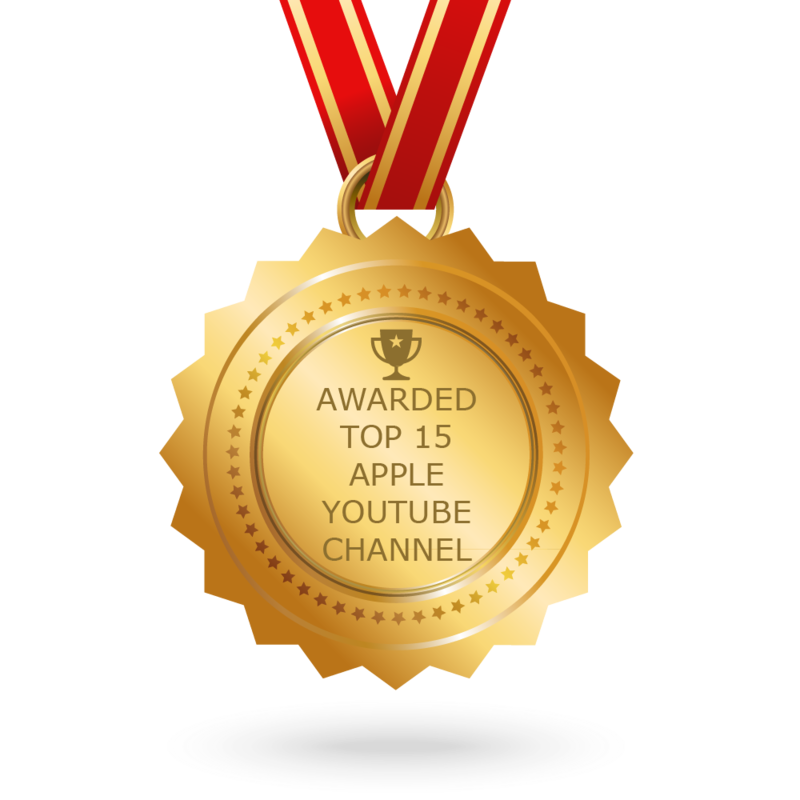 This is the most comprehensive list of best Apple Youtube Channels on the internet and I’m honoured to have you as part of this! I personally give you a high-five and want to thank you for your contribution to this world.